I guess it’s time to dust off this long-neglected blog, since I have some horsey news that’s longer than a 2-line Facebook status. It will probably fall back into neglect after this, but here’s the scoop. Today was my first hunt of the 2010-2011 season, which started three weeks ago. I’m in a mood to ramble a little more than can fit in a Facebook status update, so I might as well update the long-neglected blog. The 2009-2010 foxhunting season ended with a very nice hunt on March 27, and I’m just now getting around to summarizing it here, not because my life has been filled with more exciting activities, but just because I’ve been lazy. (I still haven’t gotten around to cleaning the mud off my boots from that last hunt). Today I said Goodbye to Shadowfax after a 22-year relationship full of amusement and frustration. I often said that he didn’t cost me an arm and leg, just a knee. He was an interesting horse, who probably had the potential to achieve much more than he did if he had better human handling. 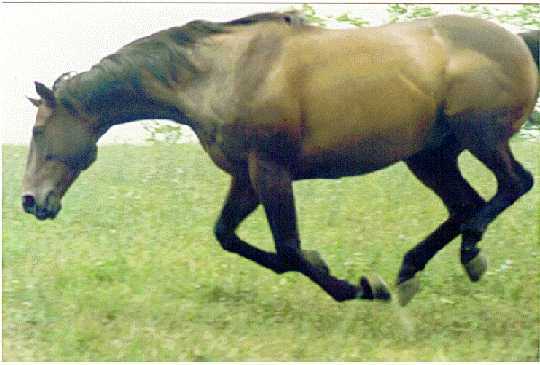 He was smart (sometimes too smart), athletic, and unlike many thoroughbreds, he had tough feet and was an easy keeper (unfortunately too easy, which contributed to his demise). A fun 6-day weekend is just about over. I assume anybody reading this realizes that this was Rolex weekend (the Rolex Kentucky 3-Day Event, if you’re a stranger to this site). Since I have some vacation that has to be used or lost, I decided to take a couple of days on each side of the weekend to properly prepare and detox, and have some fun with my own horse. According to the popular saying, March comes in like a lion, and goes out like a lamb. This year, it only got it half right. It roared in like a lion, but at month end, I was wondering what the hell happened to the lamb. Maybe the lion ate it. So far, 2009 has not been a good year for hunting. It started off well, with hunts on Jan 1 and 3, but that streak didn’t last. Those of us who hunted on Jan 3 congratulated ourselves for carping the diem, because it looked like the weather was about to shut us down for a while. Unfortunately, we were right, even more so than we expected. Between rain, frozen ground, ice storm damage, and other inconveniences, this weekend was our first chance in six weeks. So we made the most of it, with only one minor casualty. A couple of decades ago, my erstwhile sailing buddy and I were having deep philosophical discussion. The dialog had reached a level of profundity that can only be attained through ingestion of copious quantities of ethanol. Embarking on a radical new tangent, Dave suddenly blurted “J Matt, we need more dragons.” This was somewhat confusing, as our lack of dragons didn’t seem to be causing any immediate problems at the moment, but I astutely deducted that, given an opportunity, Dave would have an adequate explanation for this sudden need of which I was unaware. I realize my musings have been pretty sparse lately, and horse news has been even sparser. That’s partly because December sucked. Due to crappy weather and scheduling problems, Crossbo and I only hunted twice in December, and I managed to get in one other non-hunting ride. Only three rides in a month makes us both grumpy. But today, we survived our first hunt of the New Year, with both of us recovering remarkably well from the time off. It was a great day, but there was nothing really spectacular to write about, so this is just a quick note to reassure all that Crossbo and I are alive and well and hoping January provides opportunity to make up for December. Monday morning, I received news of the deaths of two wonderful horses the day before. 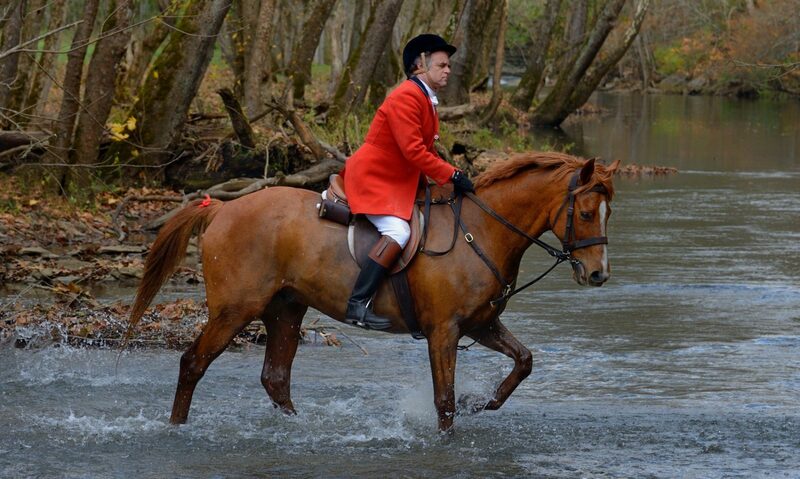 Skipper, a 25-year-old faithful foxhunting veteran, had a heart attack in the hunt field, doing what he loved. Ozzy, an awesome young event horse, broke his neck in a pasture accident.